Dandelyan, Sea Containers London award-winning cocktail bar, is serving up Wlyd Tea – a new, unique afternoon tea with a botanical twist. Hotly anticipated, Wyld Tea offers a 1970s-inspired food menu and specially paired botanical cocktails from Ryan ‘Mr. Lyan’ Chetiyawardana. If that name sounds familiar, it’s because you’d be right in associating it with the notorious “White Lyan” in Hoxton – opened by the very same Mr Lyan. Dandelyan is the newest venture, featuring a pioneering cocktail menu based on modern botany alongside classic cocktails, a glamorous setting and a stunning view of St Paul’s on the banks of the Thames. 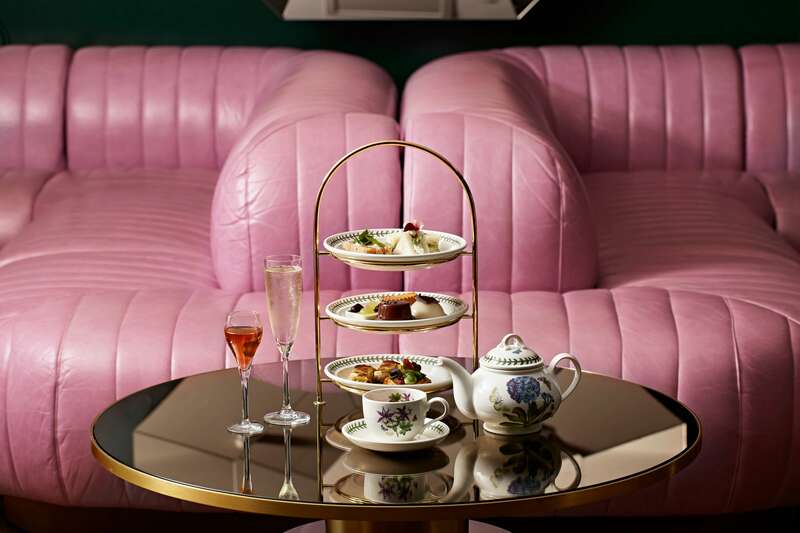 The Wyld Tea menu comprises of 4 courses and features playful takes on finger sandwiches, savoury bites and retro cakes. As with the cocktails, there is a botanical influence to the dishes including Elderflower Compressed Cucumber & Burnt Herb Cream Sandwiches and Blackcurrant and Verbena Battenberg Cake as well as exclusive cocktails such as Fluff & Fold Royale with Lime, Fresh Basil, Cacao Liqueur, Orange Bitters and Prosecco, and each course is paired with a botanical cocktail. Cocktails will be served alongside hand-blended, loose-leaf tea from Camelia’s Tea House. Wyld Tea is served from Thursday to Sunday, between 12pm and 5pm, and is priced at £55 for the full afternoon tea selection. Boozeless Wyld Tea (£35) and a Champagne Wyld Tea (£45) are also available. Seductive and striking, Sea Containers London is a new hotel in South Bank, bringing a bold new energy to the area, blending the style and sophistication of the boutique brand with South Bank's artistic vibe. Situated on the banks of the River Thames in the famed Sea Containers building, Sea Containers uniquely offers river view balcony suites directly on the Thames. Working under the creative direction of renowned British designer Tom Dixon, the Mondrian hotel captures the essence of the original building, exuding 1920's cruise ship glamour integrated with the modern twists and sophisticated design for which the Mondrian brand is known.